This week’s post takes us back to the late 1960s and early 1970s with the BBC children’s TV programme Camberwick Green. In this episode Windy Miller falls asleep after drinking a little too much cider! 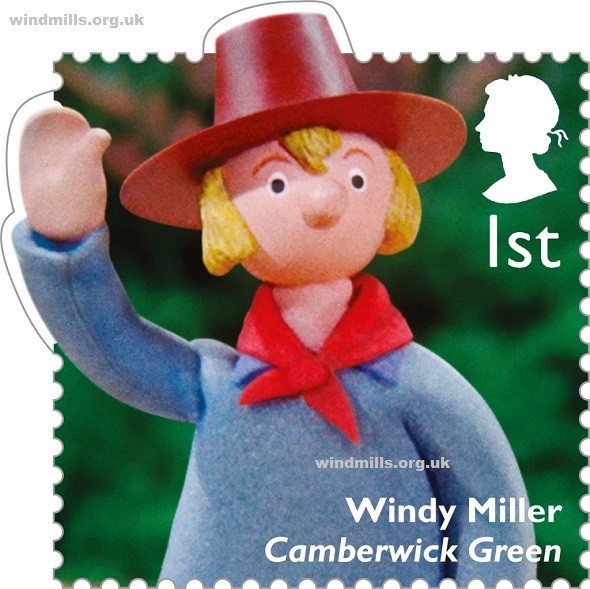 In the TV series Windy Miller lives at Colley’s Mill, which is just outside Camberwick Green. Windy makes his own cider, and as a hobby appears to enjoy whittling wood. Windy is rather old-fashioned and superstitious – he believes in whistling for the wind, and touching a chimney sweep’s collar for luck. He is also something of a smallholder and keeps a cow for milk, and free range chickens for eggs. Like a mouse he’s spry and nimble when he grinds the corn. Which says he has the wind he needs to make the sails go round. This entry was posted in Windmills and tagged Camberwick Green, Windy Miller on May 21, 2013 by Tower Mill.